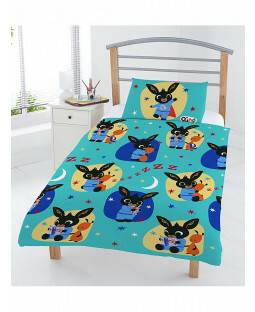 Give your child’s bedroom or nursery a Bing Bunny inspired makeover with our selection of duvet covers, wallpaper and gifts. All our Bing Bunny merchandise is 100% official and you can enjoy free UK delivery to make redecorating a breeze. 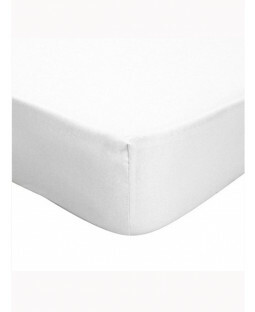 Kit out your junior bed or toddler bed with everything your little one needs for a cosy night’s sleep. Our Bing Bunny bedding bundles include a duvet, duvet cover and pillow. 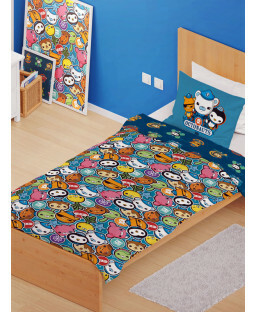 Or choose your favourite for a selection of duvet cover designs featuring Bing, Flop and friends. 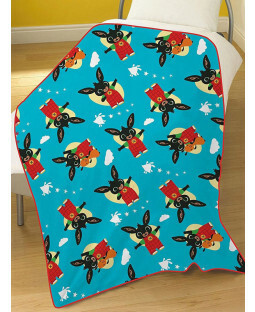 Add the finishing touches to your toddler’s room with Bing Bunny gifts including fleece blankets, night lights and more. 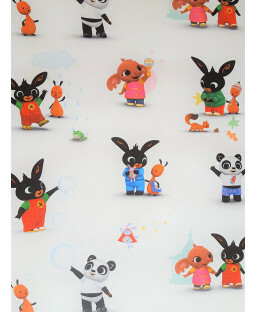 There’s even Bing Bunny wallpaper that little fans of the TV show will love.